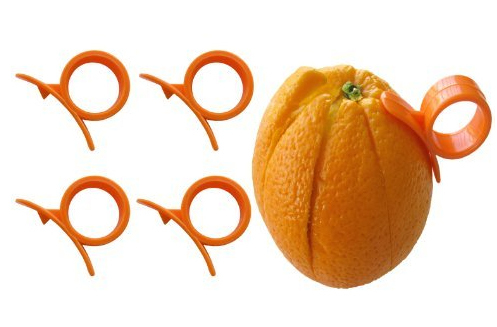 These Orange Peelers may not have a catchy name, but they do look to be handy little pieces to have about the kitchen. Considering the amount of words that rhyme with orange, it’s probably a good thing the designers stopped where they did instead of trying to come up with a too-cute clever name. Might have ended up with something like Porange Eelers! Actually… Nah. In any event, product features below. * Small size makes it ideal for lunch box, fruit baskets.